Services are scheduled for 10 a.m. Friday, Feb. 26, at Trinity Temple Assembly of God for David Calderon of Artesia. 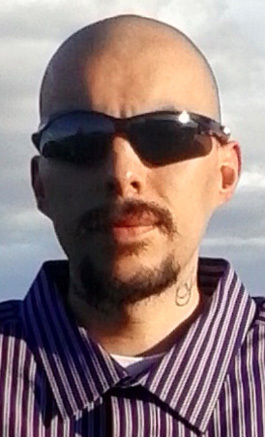 Calderon, 31, passed away Tuesday, Feb. 23, 2016, at University Medical Center in Lubbock, Texas. Bobby Argo will officiate at the services, with interment to follow at Woodbine Cemetery. Pallbearers will be Pedro Calderon, Edward Calderon, Manuel Calderon, Herman Orquiz, Rodney Earl and Antonio Rand. David was born June 27, 1984, in Artesia, the son of Juan L. and Manuela (Herrera) Calderon. He was a lifelong resident of Artesia. He was a stocker at grocery stores and a member of Trinity Temple. David liked to DJ and play basketball, and loved to bake. Survivors include his mother, Manuela Calderon, of Artesia; brothers Steven Calderon and John Calderon Jr. and wife Naomi, both of Artesia, and Mark Calderon and wife Gina of Wyoming; sister Monica Calderon of Artesia; and numerous aunts, uncles, nieces and nephews. He was preceded in death by his father; brother Jeremiah Calderon; grandfathers Guillermo Calderon and Amador Herrera; niece Adrianna Calderon; three uncles; and two cousins.